What better way to celebrate St.Patrick's Day than with a green-themed smoothie? Our green ingredients, spinach and spirulina, give the smoothie a wonderful hue, but are mild enough that the natural sweetness of the banana and the mango shine through. We offer several variations for this delicious and super-healthy smoothie so you can try them out for March 17th - or throughout the whole year! Besides, what kid doesn't love a smoothie? Read on for a tasty treat that brings some healthy greens into your family's diet. Slice a banana to make banana coins and freeze. A good way to do this is to lay the banana coins flat on a plate until frozen and then transfer to another bag or container so that the pieces don’t all stick together. Dice a mango into medium-small chunks and freeze. Allow the fruit to freeze for several hours or overnight. The frozen fruit eliminates the need for ice cubes and adds a creamy texture to the smoothie. 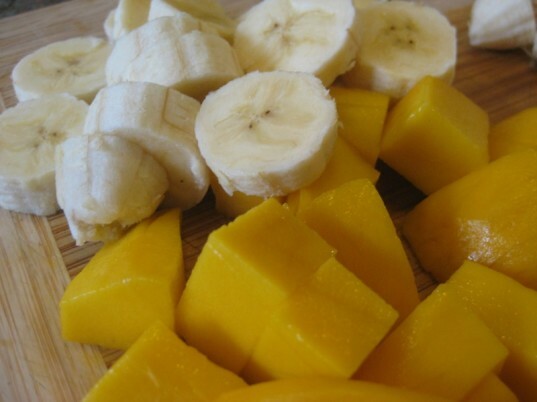 Put the frozen banana and the mango in a high-speed blender. Add 1 1/2 cups almond, soy or hemp milk. Blend until creamy. Add 3 cups loosely packed spinach and blend again until the spinach turns the whole smoothie a bright green. At this point you can serve the smoothie as is or blend in a few teaspoons of agave to make sweeter. To make your shamrock smoothie even more emerald green, add 1/2- 1 tsp spirulina powder. Spirulina is a blue-green algae that is known for having high protein and beta-carotene content; it’s also being studied currently for its effectiveness in promoting immune health. 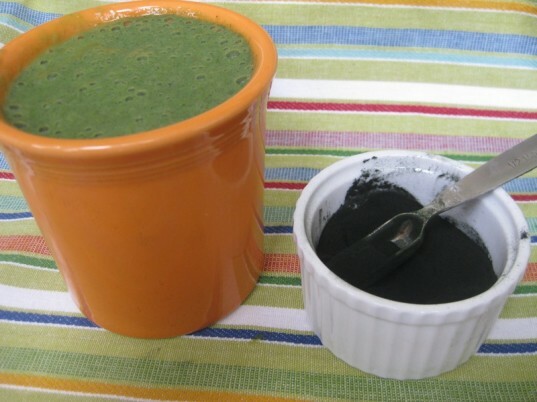 One cautionary note: spirulina has an ocean-y smell to it (it is algae after all!) so add the powder very gradually – you may want to start off the with the smallest amount. If you want a more decadent smoothie treat (or you find that you added too much spirulina) , add 1/2 -1 cup vegan vanilla ice cream, such as coconut or soy, and blend one more time. 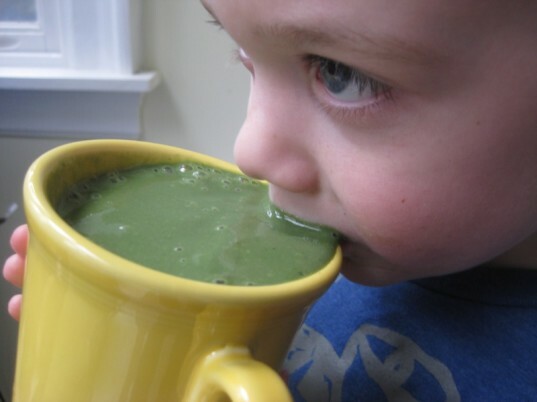 Enjoy your smoothie and laugh at everyone’s beautiful green lips! Makes 3-4 servings. Slice a banana to make banana coins and freeze. A good way to do this is to lay the banana coins flat on a plate until frozen and then transfer to another bag or container so that the pieces don't all stick together. Dice a mango into medium-small chunks and freeze. Allow the fruit to freeze for several hours or overnight. 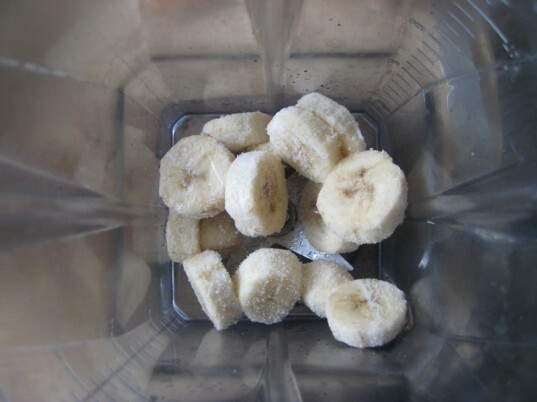 The frozen fruit eliminates the need for ice cubes and adds a creamy texture to the smoothie. To make your shamrock smoothie even more emerald green, add 1/2- 1 tsp spirulina powder. Spirulina is a blue-green algae that is known for having high protein and beta-carotene content; it's also being studied currently for its effectiveness in promoting immune health. One cautionary note: spirulina has an ocean-y smell to it (it is algae after all!) so add the powder very gradually-you may want to start off the with the smallest amount. If you want a more decadent smoothie treat ( or you find that you added too much spirulina) , add 1/2 -1 cup vegan vanilla ice cream, such as coconut or soy, and blend one more time. 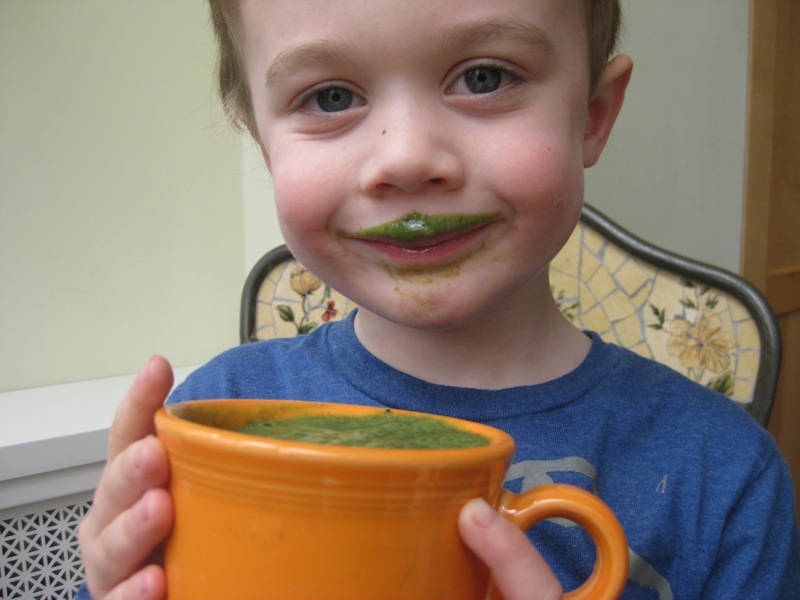 Enjoy your smoothie and laugh at everyone's beautiful green lips! Makes 3-4 servings.